Day 138: Hurrah! Time for our sand conversation! 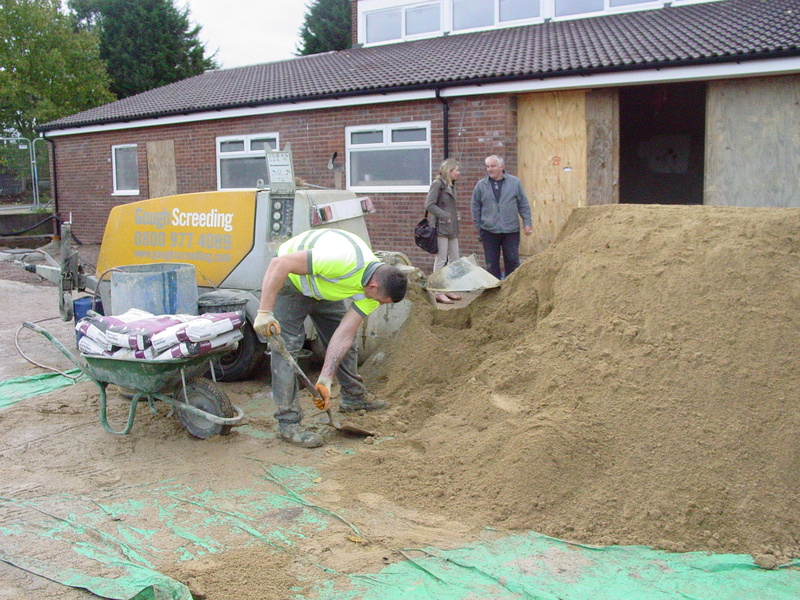 It’s probably a good day for the sand to arrive and the floor screeded so it can set over the weekend. 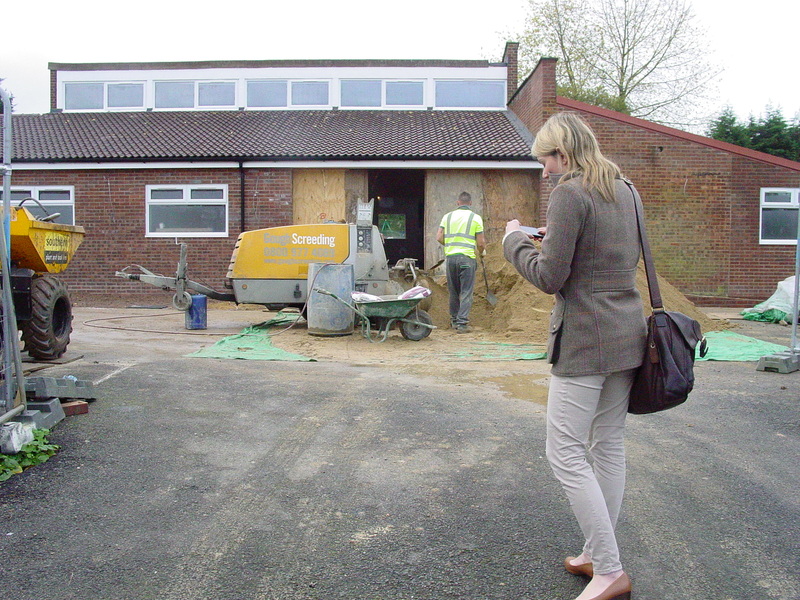 Reporter Katriona Ormiston from the Oxford Mail has turned up just in time to get a quick look inside the centre, but we were given two minutes only for a quick tour before the screeding machine started up, the sand, cement mixture and water fed in and mixed and the hosepipe carrying it down to the kitchen area started writhing about on the ground. I’m actually quite glad Gordon insisted we were out before it started up, because I can see it would be a bit dangerous to get in its way. Katriona had the chance to get an interview with Gordon outside, though. You can read about it in the Mail next week.